"The Bureau of Land Management raided Mr. Kortlander like he was Scarface. Using force to go after drug dealers or violent criminals is understandable, but somebody in a hot, sultry part of Montana, in a trading post where people are wandering around buying blankets? Come on." "This story can be described as a defense lawyer's dream. 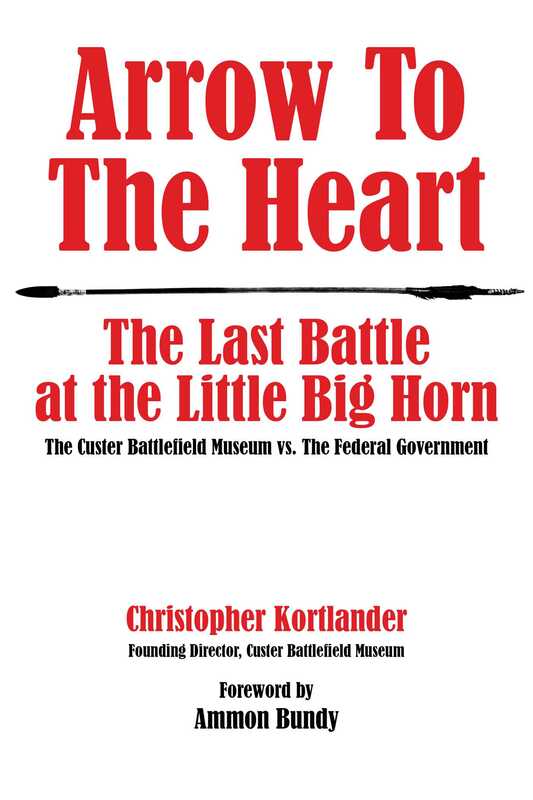 Christopher Kortlander suffered the slings and arrows of the federal government with courage and integrity. He is truly a dedicated American citizen." "In 2009, at the end of its criminal investigation, the United States had a duty to return the items or institute forfeiture proceedings if it believed the items were contraband. It has done neither; therefore, as a matter of law, the property must be returned." "Arrow to the Heart gives a raw, behind-the-scenes account of federal overreach into the lives of private individuals and corporations alike. This has now become commonplace in our nation. It is important that citizens like Chris Kortlander stand up for what is right and to stop federal tyranny."